We are so blessed to receive compliments regularly from our clients about our interior design standards that go into each home. Because of the demand for more interior design from our team, we’ve officially launched Glasstone Interior Design. We are now extending our interior design services to those looking for assistance designing their personal homes and investment properties in Central Florida. From throw pillows to color schemes, coffee tables to custom artwork, we believe the little details are what make a house a home! Over the years, we have seen what works and what doesn’t as far as design for vacation homes. We’ve determined what makes the home stand out and what makes it blend in with the rest. We’ve learned what our clients prefer and what they can do without. With years of experience and a talented architect and interior designer on our team, we have optimized and streamlined the true process behind designing a vacation home. We’re currently offering three different packages that include everything for the home, such as furniture, outside patio sets, custom cabinets, flooring and even kitchen utensils! Each package is just $28,000 plus tax (you read that right!). This unbeatable price is for 4 bedroom, 3 bathroom homes. If your home doesn’t fit these criteria, let us know! We can work out the details with you! In addition to all rooms and bedrooms of the house beautifully decorated and furnished, it will also include one themed bedroom. Choose from Mickey Mouse, Minions or Star Wars themes for the little ones! If you have ideas you’d like us to incorporate or expand on, let us know! We’re here to make your dream home come to life! We’re offering our interior design services throughout Central Florida. We’re so excited to take our Orlando interior design services to the next level with you! 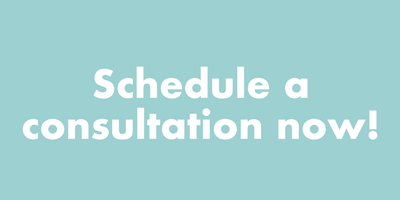 If you have any questions or would like to schedule a consultation, click the button below.